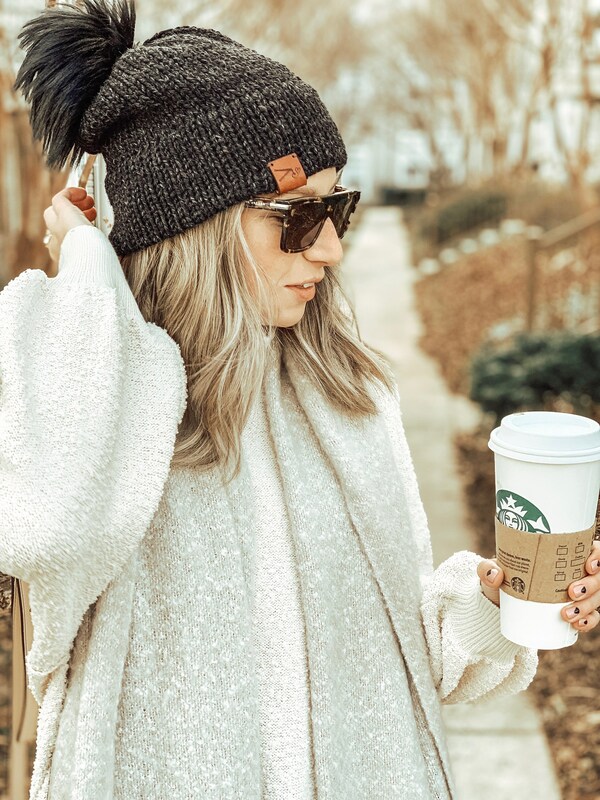 The Double Brim beanie is cozy and stylish, and extremely warm. The double brim is sewn underneath so no folding is necessary. This beanie is hand knitted by me with a 20% wool/80% acrylic blend yarn and lots of love. Each beanie has a leather logo tag sewn to the brim. 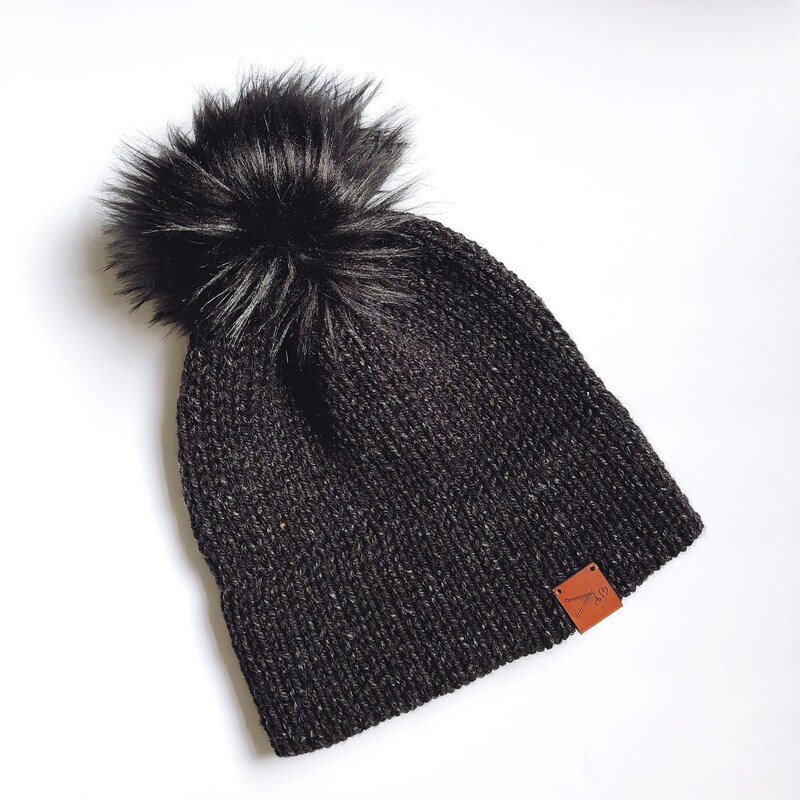 This beanie has a gorgeous, jet black faux fur pom on top. This beanie fits the average size women's head. It is a fitted style but has plenty of stretch. Crochet Pattern credit goes to White Owl Crochet.